The Asbury Classic offers a variety of hunter classes including the $2,000 Asbury Hunter Derby. Photos Courtesy of Client. Asbury, NJ – October 5, 2012 – Only six days remain until the long-anticipated Asbury Classic hosted at the Ridge at Riverview in Asbury, NJ. The 2012 Asbury Classic, one of the most picturesque shows in the nation, will return this October 11-14, 2012 with a full schedule for hunters and jumpers alike. The show will feature a full array of classes, a full schedule of hospitality events for spectators and exhibitors, as well as unique awards and opportunities for riders of all experience levels. Located only one hour from New York City, this show is a “can’t miss” opportunity for all exhibitors. The stabling is filling up quickly and the entries are approaching their close; please visit http://www.theridgefarm.com/showpages/asburyclassic.html for a prize list and entry blank. 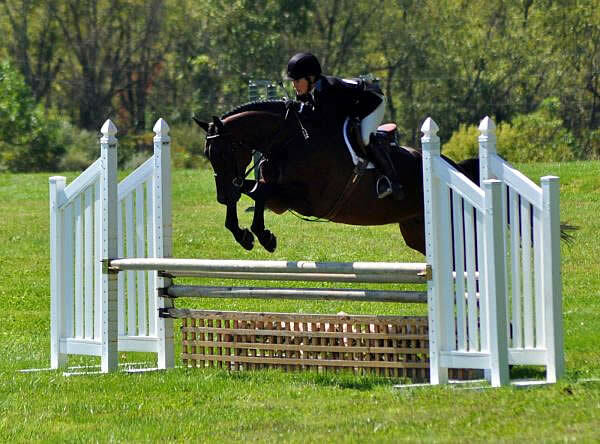 The Ridge at Riverview is run by Olympian Nona Garson, and is a gem to the city of Asbury with rolling open fields, a large Grand Prix Ring, Hunter Ring and a Derby Field with natural obstacles. The grounds have both grass and sand based all-weather footing. The Asbury Classic offers over $30,000 in prize money for hunter and jumper competitors, with the highlight of the jumper agenda being the $20,000 Ridge at Riverview Grand Prix, a televised event that will be aired RFD TV on Tuesday, October 23, 2012. Hermitage Farm will sponsor the Grand Prix, guaranteeing prize money for all competitors. The victor will also capture the electromagnetic foot pad, which is presented by Centurion. The show will also feature the $2,000 Asbury Jumper Derby, the $3,000 Futures Grand Prix and the $3,000 Open Jumper Welcome Class. There will also be an array of hunter/jumper classes for children, adults, juniors, amateurs and future jumpers. The hunter derby classes will feature some of the most competitive horse and rider combinations in the nation as they vie for the top honors in the $2,000 Asbury Hunter Derby. Children will also have an opportunity to compete in the $500 Children’s Hunter Pony Derby, as well as add an additional level of competition with the $500 Children’s/Adult Hunter Derby. The Asbury Classic offers a rare opportunity for competitors in the non-professional divisions to take their turn on the turf with the National Hunter Derby held on the rolling hills of the Ridge at Riverview. The equitation classes at the Asbury Classic offer a variety of options for people of all experience and age levels. These classes include the M&S Children’s Pony Medal/NJPHA Pony Equitation, M&S Children’s Horse Medal/NJPHA Mini Medal, the NJPHA/NJHSA Children’s Equitation 3′ Over Fences, and the M&S Farnam Adult Medal/NJPHA Adult Medal. Along with the hunter/jumper classes, the Asbury Classic makes every show unique with special awards. 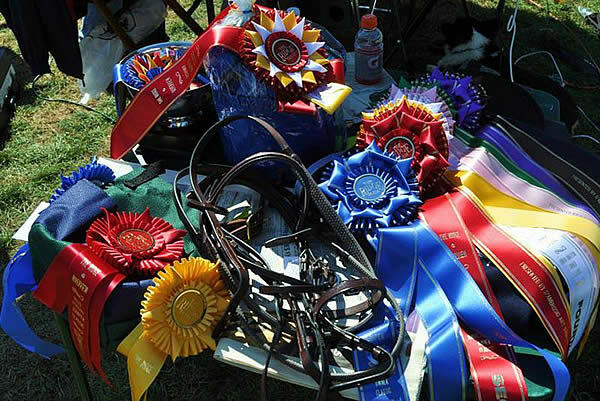 These presentations include the Hunter Derby Groom’s Award, Jumper Groom’s Award, Jumper Style Award, Best Child Rider on a Horse/Pony and Best Adult Rider. This will also be the first year that the Asbury Classic will offer the Itty Bitty Mini Prix. This division will be open to all horse and riders with fences set at 2′-2’3″. The Ridge at Riverview offers top-of-the-line amenities for their exhibitors and spectators with their generous sponsorships. This will be the first year that Samshield will sponsor the Asbury Classic, presenting a helmet to the winners of the style of Jumping awards in each division. Prestige Saddlery has also stepped forward to sponsor this esteemed show. They will be presenting the winner of the Junior/Amateur, High Children’s/Adult and Low Children’s/Adult jumper Classics with a beautiful bridle to celebrate their success. The winner of the Futures Grand Prix will not only take home the prize money, cooler, and ribbon, but Hadfields Saddlery will also present them with a beautiful custom riding jacket. This premiere state-of-the-art facility offers the best of the equestrian sports with tough competition, a wide array of classes and generous prize money. Located only an hour from New York City, NY, and an hour from Philadelphia, PA, the Ridge at Riverview offers one of the most centrally located horse shows in the northern United States. For more information about the Asbury Jumper Classic please visit http://www.theridgefarm.com/showpages/asburyclassic.html. The Ridge at Riverview’s 2012 show includes one week of top competition from October 11-14, 2012. FROM the East heading WEST on ROUTE 78: Route 78 WEST to EXIT 11, Route 173/West Portal. Off the exit, follow signs to stay on ROUTE 173 WEST; continue for 2 miles and exit off Route 173 bearing right onto BRUNSWICK AVE. Make the right onto ASBURY/W PORTAL ROAD. Go 1/4 mile; make the first left onto VALLEY STATION ROAD. Cross over the green bridge (Valley Station turns into WOLVERTON Road). The entrance to The Ridge Farm @ Riverview is the first GRAVEL driveway on the left. FROM the West (PA) heading EAST on ROUTE 78 Route 78 EAST to EXIT 6. This is the exit for the. Weigh Station. Go to the end of the ramp and make a LEFT onto BLOOMSBURY ROAD. Continue about 2 ½ miles (road becomes Asbury Bloomsbury Road) and make a RIGHT onto WOLVERTON ROAD. The Ridge Farm @ Riverview is the first GRAVEL driveway on the right.